For most of us, our home is a place of comfort and relaxation. Maybe it's even your "happy place." But did you know that the way you feel around your home has to do with certain factors like the way you decorate? 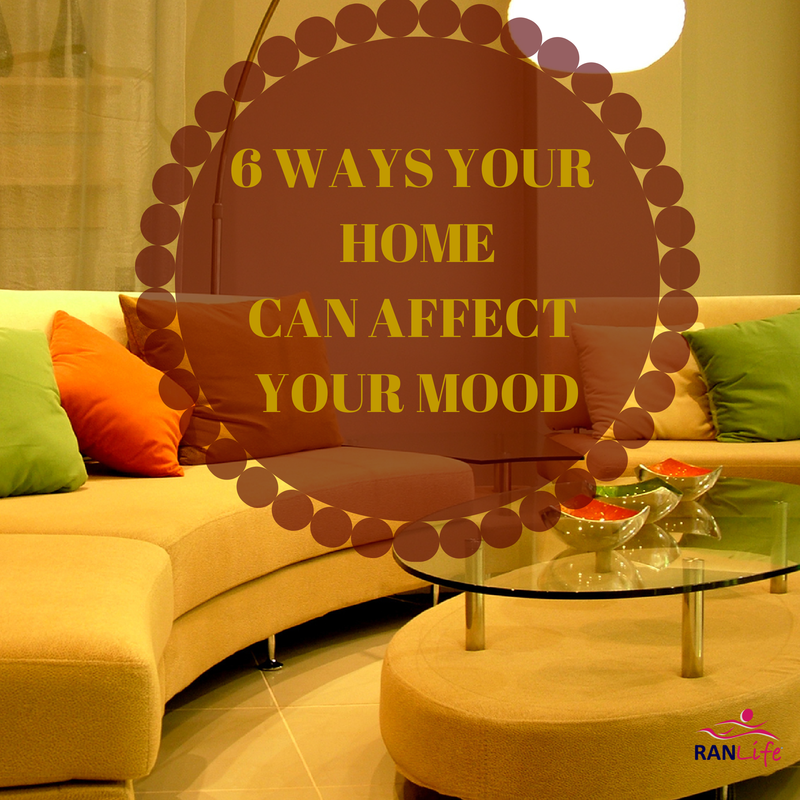 Read these six ways below that can affect your mood around your home. It's time to get happy. There are specific colors that have ability to affect your mood. Sometimes you may feel relaxed, tense, happy, or energetic. The best way to have a positive effect on your mood is to use bright colors in your home. We aren't saying you have to go paint every wall pink. However, a bright yellow accent wall in our living room and cooler beige tones throughout the rest of the home will still give you that relaxing, and calming feel. Darker and more dreary colors like black, brown, and dark blues or greens can gave quite the opposite effect on your mood. They can actually make you feel sad or depressed just by being in the room. If you choose darker colors, make sure to accent with lighter and brighter colors to even out the mood. Windows do more than just provide natural sunlight, they provide a sense of happiness. Natural lighting is actually known as a mood lifter. If your place is dark or in a basement, you might want to consider new ways to brighten it up. If you have big windows but don't want too much light, try sheer curtains. If you don't have any windows to work with, start with changing up the indoor lighting. Ever heard of feng shui? Same concept. The cleanliness and organization of your home not only play into your mood but also affect how well you may sleep at night. Start by reorganizing your home to make your rooms more of an open layout. Clean lines and de-cluttering are a huge part of feng shui. You probably wouldn't have guessed that the texture in your home plays into your mood, but it does. Think about when you slip into some soft bed sheets and that relaxing feeling that overcomes you. Some good texture items in your home could be an area rug, a microfiber couch, or even leather padded dining chairs. Adding texture to walls is also a popular technique. Houseplants are already popular decorating accents but did you know that they have actual health benefits associated with having them in your home? Plants can reduce stress, clean the air, and help increase ogygen in your home. Not only that, but plants look good in a home and bring it life. If you've tackled taking care of a plant already, maybe try out a pet! Pets are otherwise known in homes as "stress fighters." They help with many things such as reduced stress, social interaction, and in some cases lower blood pressure. There was even a study done that shows that babies raised in families that have pets are less likely to get allergies and asthma, according to Web MD. Have you found any other qualities at home that greatly affect your mood in a positive or negative way? Share your thoughts with us! We would love to hear about what makes you happy at home!